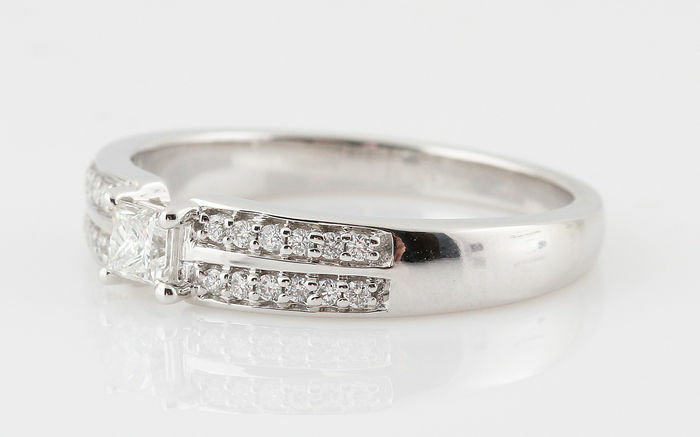 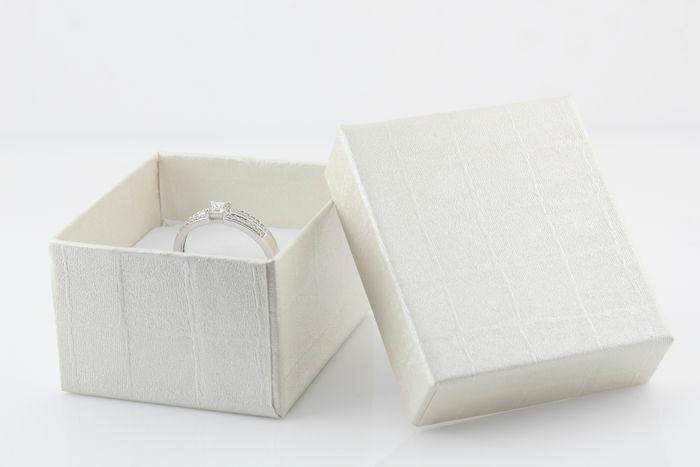 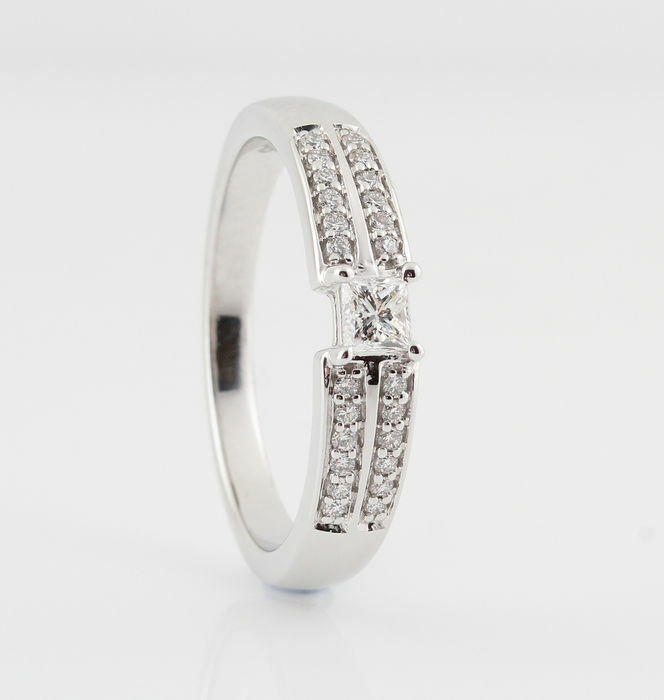 14 kt white gold ring with 0.31 ct diamonds. 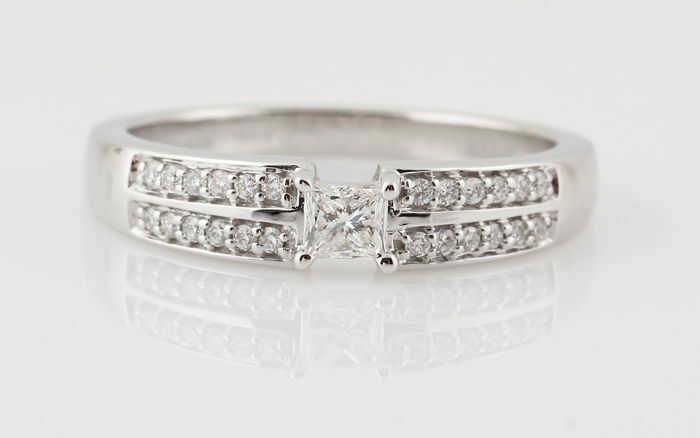 14 kt white gold, marked. 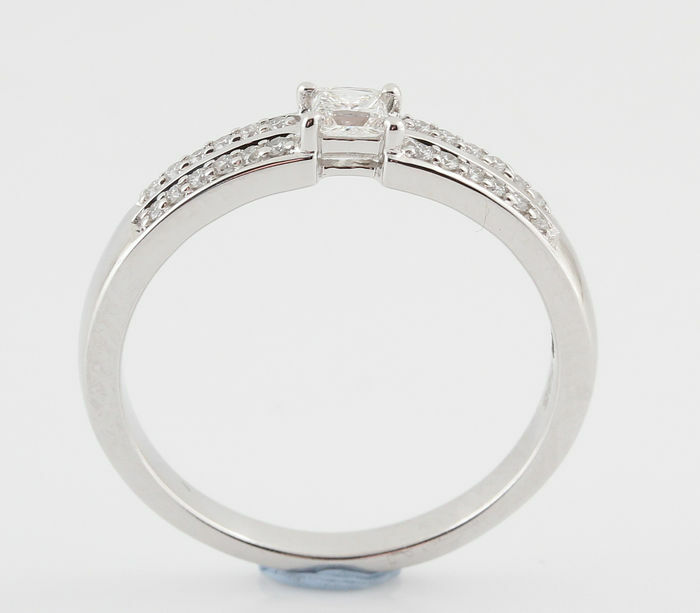 Ring decorated with 24 brilliant cut diamonds and 1 princess cut diamond. 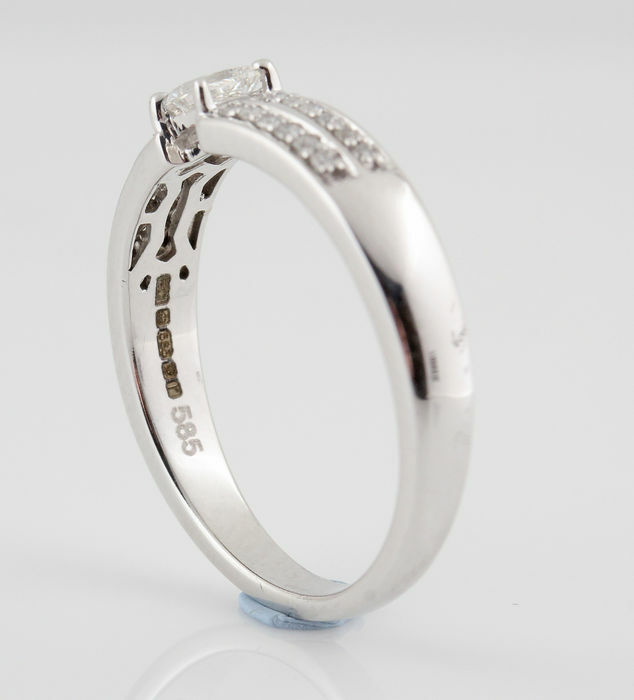 Weight in total: 3.60 g.
The item comes in a jewellery box and will be shipped by insured post.